Situated in sunny San Menaio right on the edge of the ocean, Camping Village Internazionale San Menaio is an award-winning Lux-Camp that provides families with everything they need to enjoy a camping holiday they will never forget. A number of interesting and exciting day trip opportunities are also just waiting to be enjoyed, and vibrant destinations such as Peschici and Rodi Garcanico can be reached in a mere matter of minutes, while nature lovers are sure to be in their element as they explore the surrounding countryside. Contact us now - Lux-Camp consultants are waiting to help you with your reservation. Why Should I camp at Camping Village Internazionale San Menaio? A large sandy beach is situated less than 400 metres from the luxury camping site and provides plenty of space for families to spread out and soak up the sun. The on-site swimming pool is surrounded by sun loungers and is the perfect place for lovers of luxury camping to unwind in style. 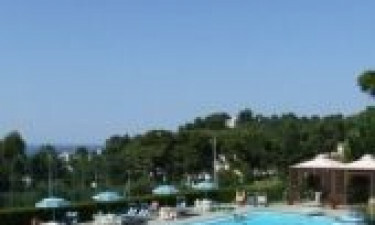 Camping Village Internazionale San Menaio also boasts an excellent range of facilities for visitors to make use of. 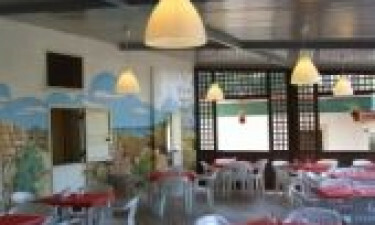 People who want to sample traditional Apulia dishes will be able to take their pick from a large number of authentic and freshly prepared dishes that are served at the on-site restaurant, while those in search of quick bites should head to the pizzeria. Guests who prefer to create delicious and nutritious meals in their mobile home will be able to find everything they need in the onsite shop, including freshly baked bread.